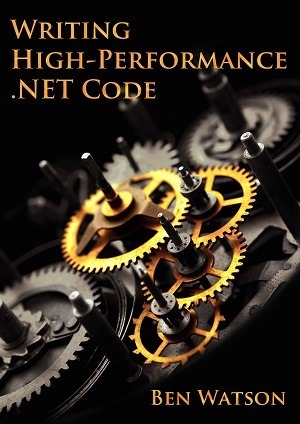 Earlier this year, I published my third book, Writing High-Performance .NET Code (2nd Edition), my second that was fully self-published. In this article I want to detail a topic that I found incredibly under-documented as I went through the process of writing this revision: the technical process of managing a book’s manuscript. This won’t cover how to actually write content, or how to work with Amazon, CreateSpace, Smashwords, or the other publishers out there. It’s just about how you go from manuscript to PDF (or EPUB) in a way that is infinitely and quickly repeatable. This can be more complicated than you think. To illustrate this, let me explain my (very broken) process for the first edition of this book. The first edition of Writing High-Performance .NET Code was written entirely in Microsoft Word. While easy to get started because of its familiarity (as well as the great reviewing tools when it came time for proofreading from my editor), it ended up being a curse in the long run. Reorganization of content was awful. 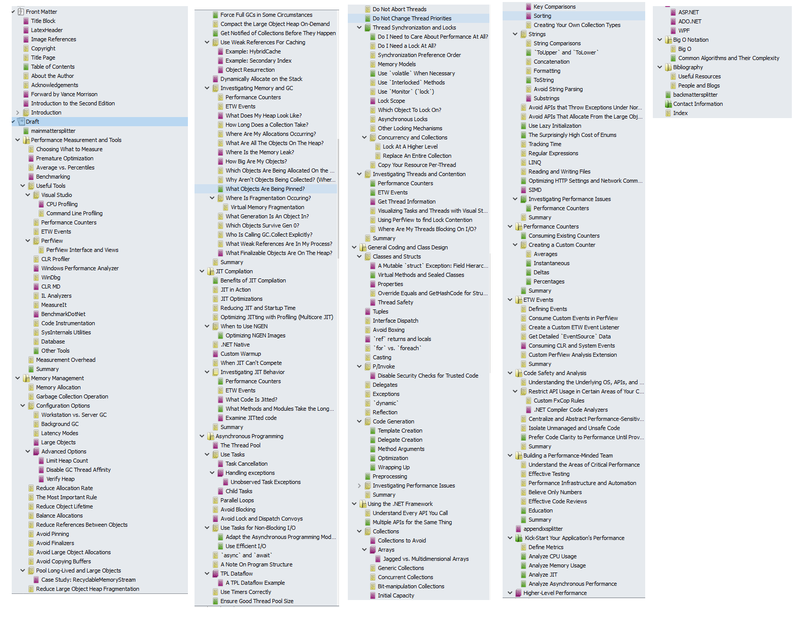 Trying to move entire chapters, or even just sections, can be very difficult once you have a lot of layout already done. I often had to rework page headings, page numbering, and various style issues after the move. Adding formatting is very tedious. Since this is a programming book that will actually be printed, there are a huge number of stylistic factors that need to be considered. There are different fonts for code blocks, inline code, and tons of other features. Code samples need to be shaded and boxed. There needs to be correct spacing in lists, around lists, after paragraphs, before and after headings, and tons more. A point-and-click/WYSIWYG interface actually becomes a severe bottleneck in this case. Then, as mentioned in the first bullet–once you reorganize something, there’s a good chance you’ll need to double-check a lot of formatting. No matter how nit-picky you’re being, you need to be much more. It’s excruciating doing this in Word. Control over PDF creation is very limited. Word only gives you a few knobs. I didn’t feel like springing for the full version of Acrobat. Exporting to EPUB/HTML creates extremely messy HTML. Hundreds of styles, very bloated HTML. The HTML actually needed to be hand-edited in many cases. And in the end, I actually needed three versions of the EPUB file, so making post-publishing edits became triply awful. Every time I needed to make a correction, the editing process was tedious beyond belief. Re-exporting from Word was a non-starter because of how much manual cleanup I had to do. Instead, I made fixes in up to 6 individual files (Master copy, EPUB, EPUB for Smashwords, EPUB for Kindle conversion, Word file for online PDF, Word file for print PDF). Yuck. When I decided to update the book for the 2nd edition, I knew I wasn’t going to repeat this awful process. I needed a completely new way of working. My main requirement was: Trivial to go from a single source document to all publishable formats. I wanted one source of truth that generated all destination formats. I wanted to type “build” and be able to upload the resulting file immediately. Trivial reorganization of sections and chapters. Documents are organized in a tree hierarchy which becomes your chapters and sections. Reordering content is merely a matter of dragging nodes around. Separates formatting from content. There is no WYSIWYG editing here. 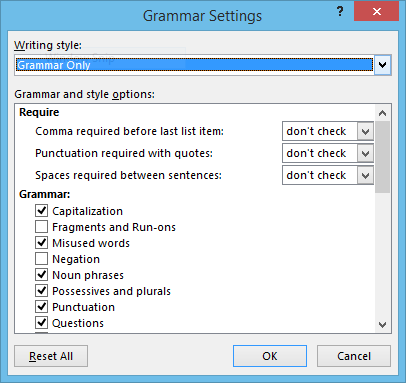 (You can change the text formatting–but it’s just for your comfort in editing. It has nothing to do with the final product.) In the end, I’m fudging this line a bit because I’m using a Markdown syntax. Simple export process. I just tell it to compile my book and it combines all the nodes in a tree (you have a lot of control over how this happens) and produces a single file that can either be published directly or processed more. Top-level nodes are chapters, with multiple sections underneath. First-level formatting in Multimarkdown syntax. Second-level formatting in Latex syntax, hidden inside Multimarkdown comments. Using Scrivener, export book to Multimarkdown (MMD) file. EPUB conversion happens directly from MMD file. PDF conversion happens by converting MMD file to a TEX file, then from TEX to PDF. Let’s look at a few of these pieces in more detail. Multimarkdown is a specific variant of a family of markdown products which attempts to represent simple formatting options in plain text. * **# Induced GC**: Number of times `GC.Collect` was called to explicitly start garbage collection. indicates that this is a bullet point with some bolded text, and GC.Collect is in a different font, indicating a code-level name. There is Multimarkdown syntax for headers, links, images, tables, and much more. However, it doesn’t have everything. If you’re doing a print book, it likely won’t be enough if you use anything but the most basic of formatting. For advanced formatting, the industry standard is Latex. It is its own programming language and can get quick complex. However, I found getting started fairly easy. One of the best advantages of using Latex is that it has sensible defaults for everything–it just makes a good book automatically. You just change the things you notice need changing. There are tons of examples and communities out there that can help. See the section at the end for useful links. For anything where Latex is doing the document processing, the first statement will be ignored because it’s in an \iffalse, and the second statement will be used. If Latex isn’t being processed, then text in the first statement is used and the rest ignored. I used similar tricks elsewhere when I needed the formatting in the printed edition to be different than the simpler electronic versions. There were still some issues that don’t automatically translate between MMD and Latex–there were fundamental incompatibilities in the EPUB and PDF translation processes, so I still had to write a custom preprocessor that replaced some MMD code with something more suitable for print. For example, when mmd.exe translates an MMD file to a TEX file, it has certain latex styles it uses by default. I could never figure out how to customize these styles, so I just did myself with a preprocessor. So what have I gained now? All my content is just text–no fiddling with visual styles. Formatting control is trivial with Multimarkdown syntax. Additional specificity for PDFs is achieved with Latex inline in the document (or in the document header). A single command exports the whole book to a single MMD file. The MMD file is the output of the writing process. But it’s just the input to the build system. Yep, I wrote a build system for a book. This allowed me to do things like “build pdf” and 30 seconds later out pops a PDF that is ready to go online. Confession: the build system is just a Windows batch file. And a lot of cobbled tools. %bookroot% is defined in the shortcut that launches the console. Next is preprocessing to put the right edition label and ISBN in there. It also controls some formatting by setting a variable if this is the print edition (I turn off colors, for example). Preprocess MMD file to replace some formatting tokens for better Latex code. Convert TEX file to PDF using pdflatex. Extract index from the PDF using makeindex. Re-run conversion, using the index. Notice the dumping of output to log files. I used those to diagnose when I got either the MMD or Latex wrong. There is more in the batch file. The point is to hide the complexity–there are NO manual steps in creating the publishable files. Once export that MMD from Scrivener, I just type “build.bat [edition]” and away I go. Bin – Location of build.bat as well as all the tools used to build the book. Business – Contracts and other documents around publishing. Cover – Sources and Photoshop file for the cover. CustomToolsSrc – Source code for my preprocessor and other tools that helped me build book. Graphics – Visio and other source files for diagrams. Image – All images for the book, screenshots or exported from diagrams. Marketing – Some miscellaneous images I used for blog posts, Facebook stuff. Metadata – License text for eBook and styles.css for EPUB formatting. mmd – output folder for MMD file (which I also check into source control–so I can do a build without having Scrivener installed, if necessary). Resources – Documents, help files, guides, etc. that I found that were helpful, e.g., a Latex cheat sheet. SampleChapter – PDF of sample chapter. SampleCode – Source code for all the code in the book. Scrivener – What I manage the book’s manuscript in. Has a bit of a learning curve, but once you get it set up, it’s a breeze. Only thing I wish is for a command-line version that I could integrate into my build.bat. PdfLatex.exe – You need to get a Latex distribution. I used texlive, but there are more–probably some a lot more minimal than the one I got. It’s big. This is what creates the PDF files. Pp.exe – an opensource preprocessor I used for a while, but it ended up not being able to handle one situation. Preprocessor.exe – Custom tool I wrote to use instead of pp.exe. Multimarkdown – Scrivener has an old version built-in, but I ended up using the new version outside of it for some more control. Pandoc – I use this for the conversion from MMD to EPUB (and Word for internal use). Adobe Digital Editions 3.0 – This is useful for testing EPUB files for correct display. I couldn’t get the latest version to work correctly. Calibre – In particular, the EPUB editor. For the first edition, I actually edited all the EPUB editions using this to clean up and correct the garbage Word output. For the second edition, I just used it for double-checking and debugging conversion issues. TeX on StackExchange – get all your Latex questions answered here. Latex on Wikibooks – Best place to get started. Most basic Latex stuff covered here. This entry was posted in Books, Tips and tagged .net, book, dotnet, self-publishing, writing on July 7, 2018 by Ben. As of last week, when you buy the print version of Writing High-Performance .NET Code from Amazon, you can get the Kindle version for free. This entry was posted in .NET, Books and tagged .net, book on March 9, 2015 by Ben. It is with great pleasure that I announce the latest open source release from Microsoft. This time it’s coming from Bing. Before explaining what it is and how it works, I have to mention that nearly all of the work for actually getting this setup on GitHub and preparing it for public release was done by by Chip Locke [Twitter | Blog], one of our superstars. In one application that suffered from too many LOH allocations, we discovered that if we pooled a single type of object, we could eliminate 99% of all problems with the LOH. This was MemoryStream, which we used for serialization and transmitting bits over the network. The actual implementation is more complex than just keeping a queue of MemoryStream objects because of the need to avoid fragmentation, but conceptually, that is exactly what it is. Every time a MemoryStream object was disposed, it was put back in the pool for reuse. The exact code that I’m talking about is what is being released. A drop-in replacement for System.IO.MemoryStream. It has exactly the same semantics, as close as possible. Rather than pooling the streams themselves, the underlying buffers are pooled. This allows you to use the simple Dispose pattern to release the buffers back to the pool, as well as detect invalid usage patterns (such as reusing a stream after it’s been disposed). Completely thread-safe. That is, the MemoryManager is thread safe. Streams themselves are inherently NOT thread safe. Each stream can be tagged with an identifying string that is used in logging. This can help you find bugs and memory leaks in your code relating to incorrect pool use. Maximum free pool size to handle spikes in usage without using too much memory. Flexible and adjustable limits to the pooling algorithm. Metrics tracking and events so that you can see the impact on the system. In normal operation, only the small pool is used. The stream abstracts away the use of multiple buffers for you. This makes the memory use extremely efficient (much better than MemoryStream’s default doubling of capacity). The large pool is only used when you need a contiguous byte buffer, via a call to GetBuffer or (let’s hope not) ToArray. When this happens, the buffers belonging to the small pool are released and replaced with a single buffer at least as large as what was requested. The size of the objects in the large pool are completely configurable, but if a buffer greater than the maximum size is requested then one will be created (it just won’t be pooled upon Dispose). Note that RecyclableMemoryStreamManager should be declared once and it will live for the entire process–this is the pool. It is perfectly fine to use multiple pools if you desire. To facilitate easier debugging, you can optionally provide a string tag, which serves as a human-readable identifier for the stream. In practice, I’ve usually used something like “ClassName.MethodName” for this, but it can be whatever you want. Each stream also has a GUID to provide absolute identity if needed, but the tag is usually sufficient. Is this library for everybody? No, definitely not. This library was designed with some specific performance characteristics in mind. Most applications probably don’t need those. However, if they do, then this library can absolutely help reduce the impact of GC on your software. Let us know what you think! If you find bugs or want to improve it in some way, then dive right into the code on GitHub. This entry was posted in .NET, Code, CodeProject, microsoft, Performance and tagged .net, fragmentation, gc, MemoryStream, RecyclableMemoryStream on February 6, 2015 by Ben. 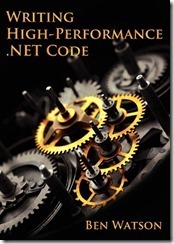 Writing High-Performance .NET Code was published! I spent the first half of the year heads down and working on the book until it was finally published in mid-July. Since then, I have been amazed at the positive response it has gotten. For more information, you can read more at the book’s site. I hit 6 years at Microsoft, all in Bing. Still loving it. Google and Facebook seem to get all the press these days, but Microsoft is a truly amazing place to work and I’m looking forward to many more years of great work. Performance Considerations of Class Design and General Coding in .NET – This is actually Chapter 5 of the book. Digging Into .NET Object Allocation Fundamentals – Everything you wanted to know about how objects get allocated in .NET, and how to investigate the details yourself. Digging Into .NET Loop Performance, Bounds-checking, Iteration, and Unrolling – A similarly detailed article on loops and performance. Some very important optimizations in here if you have critical loop performance requirements. Tips for Writing a Programming Book – a very autobiographical account of how I wrote Writing High-Performance .NET Code. 50 Reasons You Should Be Using Bing – Working on Bing’s application tier is my day job, and a wonderful job it is. 5 More Attributes of Highly Effective Programmers – a follow-on to my previous article. A three-part series about weak references. Using Windbg to answer implementation questions for yourself (Can a delegate invocation be inlined?) – An example of how to figure out answers for yourself. 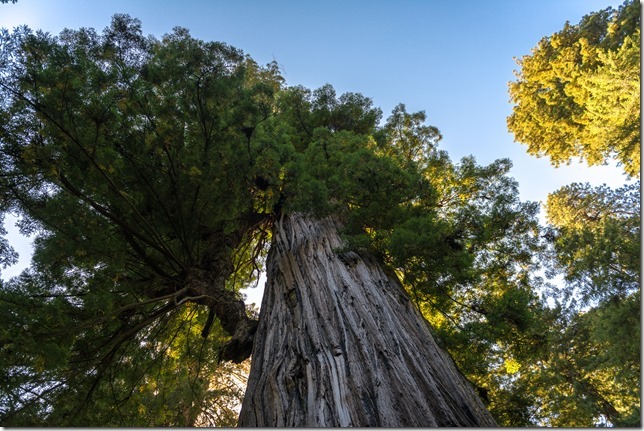 We drove down to northern California and spent a few days among the redwoods forests. Truly amazing. This entry was posted in Personal and tagged .net, blog, book on December 18, 2014 by Ben. In this article I am going to go into detail about how .NET treats loops involving array and collection access and what kinds of optimizations you can expect. I had mentioned some of these in a previous article, but in this article, we’re going to go deep and see many more examples. We’re going to dig into the IL that gets generated as well the x64 assembly code that actually executes. Will these optimization matter to your program? Only if your program is CPU bound and collection iteration is a core part of your processing. As you’ll see, there are ways you can hurt your performance if you’re not careful, but that only matters if it was a significant part of your program to begin with. My philosophy is this: most people never need to know this, but if you do, then understanding every layer of the system is important so that you can make intelligent choices. That’s the reason I wrote my book, Writing High-Performance .NET Code, and why I write these articles—to give you the information about what’s actually going on when you compile and execute a .NET program. Some of this information you can read elsewhere, but I want to show you how to get at this yourself so that you don’t have to rely on someone publically coming out with this information, especially as new version of the JIT are released. Tools I used: ILSpy to view IL, Visual Studio 2013 to debug and view assembly with .NET 4.5. I compiled the code in Release mode, targeting x64 explicitly. When debugging, don’t start with debugging from Visual Studio–that will not give you an accurate picture of your code. Instead, start the program separately and attach the debugger. I accomplish this easily by putting a call to Debugger.Launch() in the beginning of Main(), and then executing the program with Ctrl-F5. A note on assembly. I chose x64 because it should be the default for development these days. For register names mentioned below, understand that things like eax and rax refer to the same register–rax is the 64-bit version of this register, and is essentially a sign-extended version of eax, but they both refer to the same physical location. Same with ecx/rdx, ecx/rcx, etc. Attempting to execute this should result in an exception rather than allow the memory corruption to occur. That means that the CLR has to inject bounds checking into array access. This can make repeated array access twice as slow if some optimizations aren’t done. This knowledge makes some people leery of using .NET for high-performance code, but we’ll see that the JIT compiler does indeed make these optimizations in some cases (and falls short in others). However, remember what I said in the introduction: these kinds of optimizations only matter if you’re CPU bound and this code is in your innermost, most called-upon code. That said, even if you don’t have to worry about performance on this level, knowing how to investigate these types of details is instructive. It simply loops through the entire array and sums all the elements. I’m explicitly disabling inlining because that can muddy the analysis a bit, and we want to focus strictly on loop optimization, not other improvements that the JIT compiler can and will do here. IL_0001: stloc.0     // Pop from evaluation stack and store into local variable at location 0, sum. IL_0003: stloc.1     // Pop and store in local variable i. 00007FFADFCC02FE  cmp         r8d,r10d                // i < length ? The code is tracking both the index value i as well as the direct memory address of the array values, which is far more efficient than doing a multiplication and offset on every loop iteration. There are no array bounds checks! This is sometimes a worry with people new to .NET—how can we maintain memory safety without boundary checks? In this case, the JIT compiler determined that the boundary checks weren’t necessary because it knew all of the constraints of this loop. Now let’s introduce some variability. If instead, we pass in some boundaries to iterate through, does this change the situation? 00007FFADFCC032C  jge         00007FFADFCC0348      // If start >= end, skip loop. 00007FFADFCC0350  call        00007FFB3F7E6590      // Throw an exception! The most significant difference is that now on every single iteration of the loop, it’s comparing the array index to the length of the array, and if it goes over we’ll get an exception. With this change, we’ve doubled the running time of the loop. The bounds check is there. So why does it do this now? Is it because we’re doing a subarray? That’s easy to test. You can modify the original function at the top of this article to iterate from 25 to 75 and you’ll see that the compiler does not insert a boundary check. No, the reason for the boundary check in this case is because the compiler can’t prove that the input values are 100% safe. Ok, then. What about checking the start and end variables before the loop? I suspect that quickly leads to the problem of trying to understand the code. As soon as the constraints are not constant, you have to deal with variable aliasing, side effects, and tracking the usage of each value—and that’s not really practical for a JIT compiler. Sure, in my simple method, maybe it would be easy, but the general case might be extremely difficult if not impossible. So even though we can prove that it’s safe, the compiler won’t. There’s another way, that’s a bit more annoying. Remember the very first, baseline example, the one that did NOT have a bounds check. What if we had that exact code, but it operated on a static value rather than argument? 00007FFADFCE0514  cmp         r9,r8                 // bounds check! The bounds check is there. Ok, so what if we’re clever and we pass the static array to our baseline method, which doesn’t know it’s static? There is no bounds check in this case–it’s exactly the same as the baseline case. Sad, but true–as much as this looks like the baseline example, it does not have the optimization. In this case, the compiler will emit a single bounds check that suffices for both accesses. Another way to eliminate bounds checks is to use the fixed keyword. I don’t really recommend it because it has safety and security considerations that you should definitely consider. However, if you really have a need for optimal array access with some nontrivial access pattern that would otherwise trigger a bounds check, this may work for you. In order to use fixed, you must enable unsafe code for your project. Either one will work, but keep in mind that unsafe really means unsafe! You can trample your memory in this method. I recommend keeping all unsafe code segregated to its own module, class, or otherwise limited scope and that it receives extra scrutiny during code reviews. You may also have to deal with organizational security issues with deploying unsafe code. If you can eliminate the bounds checking with pure managed code, strongly prefer that approach instead. Now, let’s shift our focus up one level of abstraction. In .NET, you can iterate over most collections with the foreach keyword. foreach is in most cases syntactic sugar for calling methods like GetEnumerator(), MoveNext(), and so forth. In this respect, it would be fair to assume that foreach has worse performance overall than a simple for or while loop. However, that’s not quite the case. In some instances, the compiler will recognize a simple for loop on an array for what it is, regardless of the syntax used. What is the generated IL in this case? It looks pretty much like the for loop on an array, but with some method calls instead of direct memory accesses to retrieve the values and the length (Count). 00007FFADFCD0BEA  xor         ecx,ecx    // Set i to 0. i is used only for the loop condition. 00007FFADFCD0C0B  movsxd      r10,r11d                   // Copy j  to r10 and sign extend. The method calls on List<int> have been inlined away—we get direct memory access to the underlying array that List<int> maintains. There is an iteration on i that compares it to the length of the List<int>. There is a separate iteration on j (which I call j in the annotations), which compares it against the length of the internal array that List<int> wraps. Failing either iteration will cause an exception to be thrown. The duplicate iterations don’t really cause the loop to be twice as slow as a pure array would be—there is still only one memory access and every thing else is operating on registers, which is extremely efficient. But if you have the choice between arrays and List<T>, well, it’s hard to beat an array for pure efficiency. Finally, let’s turn our attention to foreach on List<T>. Will the compiler (or the JIT) turn this into a straightforward for loop? I won’t show the assembly code for this, but suffice it to say, it’s also quite different. What would you expect to happen with code like this? In this case, the array optimization will be lost and you’ll get the same thing you did with foreach over List<T>. Loop unrolling is the practice of reducing the overhead of a loop by causing fewer iterations, but more work per iteration. For loop-heavy code, it can make a big difference. In some cases, the compiler can do this kind of optimization for you, but for loop unrolling to take place, there is one big constraint that must be obeyed: The loop constraints must be statically determinable so that the compiler can know how to modify the loop. Check that we can safely do increments of N values and overflow the array (N being 4 in this specific case). Do N operations per loop body. As soon as you deviate from the static determinism, however, you will not be able to rely on this optimization. However, if you have special knowledge of your arrays (such as that their length is always a multiple of 4), then you can do the loop unrolling yourself in the source code. As far as the current JIT compiler goes, you will lose this optimization if you change the array size in this example to 101. Some compilers will split this–an unrolled loop, with the leftovers tacked onto the end. The JIT compiler doesn’t do this at this time (remember, it’s under a severe time constraint). The ultimate loop unrolling of course is just eliminating the loop altogether and listing out every operation individually. For small operations, this could be advisable–it’s just a tradeoff between code maintenance and performance that you have to make. Understanding how small differences in code translate into more or less efficient machine code is important if you need to get the last small measure of performance on your more performance-critical components, especially if you are CPU bound. Of all of the collections, arrays are the most efficient to access, but List<T> is very close. When iterating over arrays, you want to try to eliminate the bounds check if possible. When deciding between for and foreach, keep in mind that foreach can involve method calls for anything except pure arrays. Understand the conditions that allow for loop unrolling. If you can formulate your code to allow it, and it makes a difference, go for it, or manually unroll loops if you get a performance gain out of it. Most of all, figure out how to answer these types of questions for yourself so that the next time deep performance questions arise, you know how to quickly determine the answer. 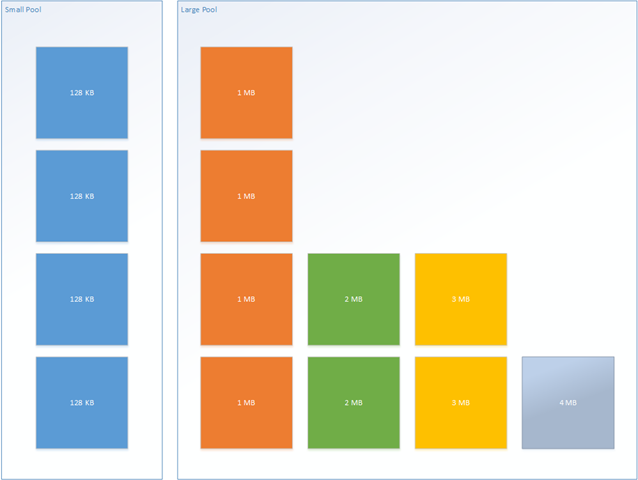 This entry was posted in .NET, Code, Performance and tagged .net, assembly, bounds check, foreach, il, loop, optimization, performance on November 20, 2014 by Ben. In this article, I want to go through the process of writing a book, to give others who are thinking of writing a general idea of what kinds of things you will need to do. This is the article I wish I had read before starting out. Some of this will be applicable to fiction writing, but there are better resources if that’s what you’re interested in. I can only share what I personally know. Do you have enough material for a book? Write out an outline to make sure. Iterate over it until it’s quite detailed. Quash self-doubt! If no one else has written this book, then it’s up to you! Do you want or need to go with self-publishing? Should you do a print edition? What’s the market for that? When are you going to make the time to write? Do you have a place you can write uninterrupted? Will your family support the time commitment? Does your day job have a moonlighting policy? Follow it! Familiarize yourself with the various publishers’ processes. Do some dry runs. Figure out what’s going to work and what’s not. How are you going to market your book? Get started on laying the groundwork for that early. Start tweeting and blogging in anticipation. When marketing your book, remember to Always Be Providing Value. Price sanely and fairly. Chances are that in unless you’re fulfilling a unique, high-in-demand niche, you’re not going to make a lot of money, certainly not enough to quit your day job. Optimize for the number of sales, and be competitive with others in your genre. The satisfaction of producing something meaningful and sharing your knowledge with others is worth the effort you are putting in. Writing a book is not easy. Just because you know stuff does not mean you can write a book about it. But it is a prerequisite. I’m the author of two non-fiction computer programming books. The first, C# 4 How-To was published in March 2010 by Sams. My most recent book is Writing High-Performance .NET Code. This was self-published, for reasons I’ll get to later. After the experience of writing my first book, I promised myself and whoever would listen that I would never write another book. The process was too grueling for the payoff. The money just isn’t there. Sure, you do get some, but if you have a well-paying full-time job, it’s a drop in the bucket. You should not write books for riches–chances are you won’t get them. The rest of this article is part advice, part journal. Get out of this what you will. At my day job in Bing, I’ve spent the last few years becoming something of an expert in the area of .NET performance. I wrote a very significant part of the Bing query-processing stack in .NET and performance is obviously a vital consideration in everything it does. I had the benefit of an amazing mentor (see my book’s acknowledgements [PDF]) for a number of years, and the experience we gained as a team was considerable. Many of the bits of knowledge we had to apply were things that were not available via Internet search, or if they were, lacked so much context that it was worse than useless. One day, at a dinner with my brother-in-law, we got to talking tech and our work projects in generalities, and he casually mentioned that I should write a book about these performance lessons. This wasn’t the first time the thought had come to me, but this time I actually thought it through for a while. I mulled on it for a few weeks before writing out a simple outline, at which point I knew that I had enough material for a book. I wasn’t sure how long it would take, or what my coworkers would think, so I kept it to myself and close family. Everyone has self-doubt. I certainly did. Through much of the writing process, I constantly wondered to myself whether I should be the person writing this book. I am not on the CLR team; I work on a specialized project; I’m fairly young compared to the experts I look up to: who am *I* to be writing a book on .NET Performance? Et cetera. There is a fairly common psychological condition called Imposter Syndrome, which explains these doubts. Basically, most people at one point or another feel like a fraud in their success. The fact is, I realized, that someone ought to have written a book like I was, and that someone might as well be me. As long as I got good editing, feedback, and technical help, there was no reason I could not produce a very high-quality textbook on .NET performance, despite my worries. Another doubt was the scope of the book. My knowledge is heavily weighted towards vanilla servers, pure-.NET. No WCF, ASP.Net, WPF, etc. I am familiar with those, but they’re not my bread-and-butter, so to speak. Would people read a performance book that didn’t cover the trendy buzzwords? I decided that they would. There was no book that covered the fundamentals of .NET performance engineering in the way I was going to. This was an important niche, and it was actually an advantage to not cover the higher-layer technologies. It gave the book laser-like focus, and allowed it to explain the fundamental techniques in a way that a widely scoped manual would lose. There was no book that explained the fundamental costs and benefits of using .NET from a performance point of view, regardless of code library. It was like a really good cook book that would teach you fundamental cooking techniques, but the book would not have thousands of recipes. Once you had the techniques, you could apply them on any recipe from other books. I probably could have gotten a publisher if I had asked. I had already published a book via Sams, and while it wasn’t a best-seller, I did earn back my advance and a little more. However, royalty rates truly are abysmal. 10% of the wholesale price is fairly typical. Wholesale is usually 50% of the cover price. So for a $40 book, you can expect to earn about $2 per copy, less on an eBook. The advantage of having a publisher is that they will get you into physical stores, which is where I saw most of my sales for my first book. However, that was 5 years ago. The market has changed dramatically in that time. Amazon is the king of book selling, by a LONG shot. I could earn much higher royalties, even if I priced the book much lower. I knew someone who could be technical editor. I have a couple of editors in the family who could help with grammar and style. I had experience and so knew basically what kinds of formatting I would need, what parts of the book I would need–all the technical details. I was willing to do all of the pre-publication grunt work myself. I have an artist in the family who could do a cover for me. Heck, even if I didn’t, I know Photoshop. I could probably whip up something better than most of the bland covers that seem de riguer for programming books these days. Admittedly, my sister did a much better job on the cover than I could have. A bigger sense of accomplishment. I didn’t just write the book. I managed it from beginning to end. I made it a business. I feel much more in control of my own product. I can update it at will. I have more direct contact with many readers on Twitter and other places. I’m not going to quit my day job anytime soon, but in the first three months of my book being out, I made more money than in all 4 years my previous book was on the market. The hardest part of any large project is just getting started. The first thing I did was flesh out my draft outline to list all of the chapters I thought I would have, then within those chapters, individual topics. Then I just started writing. I don’t remember if I started with the Introduction or Chapter 1, but I did start more-or-less at the beginning. At the start, I did not concern myself with grammatical correctness, precise descriptions, or even necessarily getting all the details I wanted. I just tried to get all of the ideas onto the page. As I thought of related ideas, I would write them into my outline, or later in the document itself with a TODO prefix and an explanation of what I was thinking. I pretty much wrote the whole book linearly like this. Not perfectly, of course. I jumped around a bit as necessary. Sometimes, sections belonged in a different order, or in a different chapter entirely. When I got to a part where I knew I needed a code sample, sometimes I just wouldn’t be in the mood to work on code or the debugger, so I would put a TODO in the chapter with an explanation of what the code needed to do. Then I moved onto writing something else. One of the things I had to decide fairly early on was my writing style. Was it going to be “folksy” or “clinical”? How much like a textbook did I want it to read? My natural style is fairly informal. I started writing the book just like I write a blog entry, but I realized, especially later during editing, that while this is mostly ok, you do need to tighten up the writing a little bit. Some things just require more clarity or a precise explanation. Another important decision I made early on was to take a stand, be opinionated in what I recommend. So much programming documentation is clinical and does not take a firm stand on what you should do in a given situation. I wanted to make sure my own personal voice rang through the text. This isn’t just about the language and grammar being used–it applies especially to the content. In a blog entry, if you don’t want to explain a piece of prerequisite knowledge, you can just link to an existing source somewhere on the Internet. Book readers do not want that. If there’s something they need to know, you need to provide it to them (within reason of course–it’s fair to state knowledge assumptions up front). The increased need for formality also forces you to really get your facts right. There is nothing like teaching others to really get you to learn the material well. This is true for EVERYTHING, but especially if you’re writing a book. There is a huge difference between knowing in your head how something works, and being able to write it down in a coherent way. Of all the chapters in my book that I knew I had to get right, Chapter 2 – Garbage Collection is the one that needed to be the most perfected. I knew garbage collection details pretty well. I have nearly weekly interaction with the people responsible for maintaining and developing it, but it was still surprising how many nit-picky details I needed to tweak after going through the content with the owner of the GC. I did not have daily or weekly writing goals at first, but as I got towards the end, I did start challenging myself to writing a thousand words per writing session. This can actually be pretty tough when you realize you need to do more research, or write a code sample. Those take time. My only goal was the rough timeline. 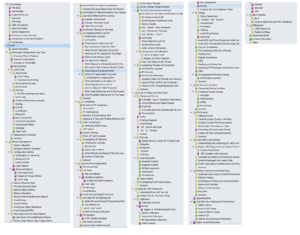 I knew I wanted to publish in the summer of 2014, so I planned out what had to be done by when, and gave myself about two months for editing and finalization. Resist the urge to pad your text. This is really easy to do in a programming text. Just throw some more code on the page, add some extra topics, and you can create pages out of thin air! Don’t do this! Yes, find good, relevant content that should be in your book, but only add it with the right motivation. It’s unlikely your outline will contain everything that needs to be in the book—you will certainly forget something. Do research, brainstorming, take a step away from the project, ask your technical editor what’s missing, etc. Add content for good reasons that fit the scope of your book and leave it at that. I used Word 2013 for the entire process. This has its pros and cons. Great for producing a print-ready PDF. Great collaboration abilities, especially via OneDrive and Office Online. Ability to edit anywhere I was, on any computer. When it came time for the EPUB conversion, which is used for every online retailer except Amazon, it required an entire day to clean up the HTML from the conversion process. I had to fix a lot of styles and makes tons of tweaks. To the point where it is now easier to make corrections in multiple documents rather than make them in the master document and then redo the conversions. I stored the book on OneDrive while I was actively working on it, which allowed me to edit anywhere I was. When it came time to collaborate with editors, this made it very easy to share with others who could add comments directly in the document. I made weekly, sometimes daily, backups to another drive at home, which was further backed up by Carbonite. For screenshots, I used the built-in Windows utility Snipping Tool. This mostly worked, but you have to keep in mind that print is 300 DPI, while most screens are 96 DPI, which means the images are smaller than you think. In some cases, I used Photoshop Elements to increase the size of and resample small images to make them suitable for printing. For code samples, I used Visual Studio 2012 Ultimate. I used Subversion on my local Synology NAS to store my code samples. Once the book was done, I also added all graphics, manuscripts, and all other book artifacts as well. The Synology has a publicly accessible DNS that I could use from my laptop away from home. For eBook editing, I used Calibre, which has both library management and eBook editing tools. When it came time to upload to online retailers, I first ran EPUBCHECK on the final EPUB files to ensure they passed with 0 errors. Given that I have a full-time job and a family with a small daughter, as well as other commitments (including a musical, where I was playing in the orchestra), finding time to work on the book was a problem. My wife and I instituted a “night off” every week to work on personal projects—after dinner, we have no more responsibilities for the rest of the night. We don’t have to help with dishes, bath time, reading stories, or interacting at all. I utilized my night for working on the book. I say goodnight, kiss and hug my daughter, and then I can isolate myself in the house or go somewhere else. The time was 100% my own. Typically this amounted to about 4 hours. For the rest of the week, I would be lucky to get an hour or two a night. But the 4 hour block really helped–it was enough time that I could focus on big issues. Towards the end, perhaps the last month and a half, one night a week wasn’t sufficient either. There was so much to do that I had to start taking most of all my Saturdays to work on the book or I would never get done. In the end, the book took about 10 months, start to end, and that was mostly working nights and weekends. And the book isn’t even that long! Don’t underestimate how much work it is. For writing, by far the best place for me to work was somewhere outside the home that had some kind of ambient noise. I worked at the local library, Starbucks, and even McDonald’s a couple of times (they were open later than the others). There is something about the noise level that can help you concentrate more than being at home. If you have to work at home, you can try any number of ambient noise tracks on YouTube. The times where I did work at home, I usually put in headphones and listened to classical music. For code and debugging samples, it was much easier to just do that at home where I have two large screens. I am lucky. I knew someone who would be a great technical editor. He was on the CLR team before joining my team and he became a great mentor. I asked if he would be my technical editor, and he readily agreed. This meant that my technical content was in good hands. He wouldn’t let anything egregious slip by. Since I also had a relationship with people on the CLR team, I asked some of them to proofread smaller portions of the book, in particular Chapter 2, which I consider the most important part. Once I was done with the first draft, I gave the whole thing to my TE. After he had it for a few weeks, we got together in person and walked through a major portion of the manuscript. I came away with about three pages of notes. Everything from minor technical errors, need for a source, a better wording, to a better way of summarizing content in the chapters and at the end of the book. Not all of them were big changes, but some were. A couple involved major restructuring. This was about a month worth of work. For grammar, style, and formatting, I asked my wife and father to review. My wife is an amazing editor. She has worked at a couple of jobs that required very precise abilities in analyzing documents, so she was the perfect person for this job. I also asked my dad to take a look as well, and between them I got a lot of good feedback. To allow them to edit, I shared the document with them via OneDrive and asked them to only leave comments—not change the body text. Once I resolved their comment, I deleted it. Turn on the settings you want and prepare to be nitpicked to death. I turned it off after a while, but it was helpful, and helped forestall some comments from my wife. 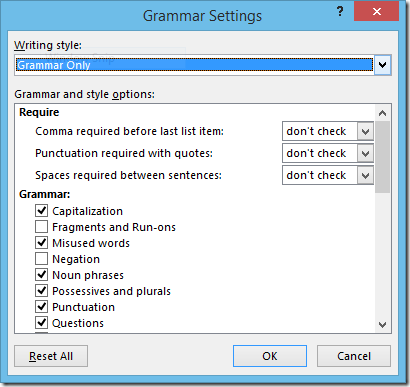 One of the most common things that was corrected by my editors was the use of contractions. If you look in the final book text, you will find very, very few contractions. Contractions are a very informal way of writing. Fine for a blog entry, but in a book, they do stand out a bit. I only left them in when they sounded better. Structure of lists. Sentences or not? Periods at the end or not? My rule was that each list had to be internally consistent, but not necessarily consistent with other lists. Catching all of these can be hard. Sentences that are too long, too short, oddly phrased, confusing, etc. A lot of this stuff you will be absolutely blind to. You MUST have another person help you find a lot of it. It’s also helpful if that person is familiar with the genre or is at least well-read and understands the language very well. Don’t ask your buddy who reads < 1 book a year to proofread. If you’re writing a book that is guaranteed to never be printed, then your primary concern with formatting should be how little of it you can get away with. Use one or two fonts. Use as few header styles as possible. There are plenty of formatting guides out there. One that I read and was very helpful was Mark Coker’s Smashwords Style Guide. Right up until the first week of publication, I was planning on keeping this eBook-only. As soon as I told people it was available, though, some people asked about a print edition, and I realized I would need to do that. Bold, obvious styles for chapter titles, section headers, and more. Some of this includes underlining. Graphics with captions throughout the book. Different font and background shading for code samples. Different font for code elements cited in paragraphs. Appropriate white space after tables, code samples, section titles. Appropriate white space before section titles. Special callouts and borders for anecdotes and tips. Page numbers, with alternating sides for even/odd. Page headers consisting of the chapter number and title. Word was great for all of this. If you’re not familiar with these features, it can take a bit to make it work, and it probably doesn’t have the power of a true desktop publishing application, but it worked great for me. There are a lot more things I could have done. Take a look at another programming book and check out the advanced formatting and features they include. Most of it is unnecessary, but it can add a certain flair. I knew almost from the beginning that I wanted the cover to have gears on it (see the introduction to the book for an explanation why), and have a very distinctive look. Most programming books are very bland. I wanted mine to stand out and still be professional-looking. I am fortunate to have an artist sister, Claire Watson, who was willing to do some Photoshop work for me. She has a great eye for design, and after I told her my general ideas, gave her some sample stock photos, she produced no less than 30 variations of multiple cover designs. The one I ultimately chose was a variation of her very first design, and I love it. You can find artwork and jewelry by my sister Claire at http://www.bluekittycreations.co.uk/. I used Visual Studio 2012 Ultimate for the code samples. I could have used the 2013 version, but decided 2012 was a safer bet for minimum hassle for the majority of readers. Keeping them extremely short while still demonstrating the point I’m trying to convey. Line length, especially on an eBook is an issue. Small screens and limited resolution play havoc with code formatting. If you’re on a really small or old device like an iPhone or original Kindle, then sorry, I did not bother trying to format for your device—it doesn’t even make sense at that point. I optimized for devices like the Kindle Fire and better. Before I completed the book, I checked and double-checked the current moonlighting policy of Microsoft, which does allow me to write and publish books without prior approval. The only thing that can get me in trouble is revealing proprietary information, and I was very careful about this, especially when talking about .NET and GC internals (I had the GC owner review the whole chapter, and she did ask me to remove some small details that are prone to change in the future). So no worries here about publishing. If you thought you were done when the manuscript was complete, edited, and finalized, then you are in for a surprise. Depending on how complicated your manuscript is, you still have days worth of work ahead of you, so plan accordingly. At some point I set a hard deadline for myself: July 12. That was the day it was going to go live on at least Amazon.com. The weeks before that, I basically worked every night and all weekend to complete as much of the final edits that I could and get final feedback from my editors, both technical and grammar. Then I took off work on Thursday and Friday to work on the eBook conversion. I knew this was going to be a chore, but I had no idea how grueling it would be. I understand now the value that professional publishers, editors, typesetters, etc. have. I decided to do the Amazon Kindle conversion first. For this, I just needed to upload the Word document to Amazon and their system would check it and provide a list of errors to me. I could also proofread it on various Kindle simulators, which would attempt to show me what it would look like. This was very helpful. The single biggest problem from this process was that paragraphs with different fonts in them did not render properly. I used different font styles for code keywords within body text and this was throwing off the whole system. So I had to go fix a bunch of styles in a copy of my manuscript. I didn’t want to modify the original document because I knew that I would want those different styles for EPUB and print. I also quickly realized that tables, despite being supported in all eBook formats will not work except for the most trivial of tables. It just doesn’t look good. This was too bad, because I had spent quite a while converting some bullets to tables. I spent a few hours converting back. It was invaluable going through the book on the various Kindle simulators. I got to see a lot of things that just didn’t work on a small screen. It’s always a challenge putting a well-formatted book into an eBook, especially one with tons of code samples. Some Kindles displayed the shaded backgrounds, others didn’t. None will use different fonts, so you don’t get the benefits of uniform spacing for code samples. All of this I just let slide–I figure if you’re reading a coding book on a Kindle, you kind of know what you’re getting. I didn’t even bother proofreading (beyond curiosity) on the older Kindles or iPhone Kindle App. You deserve what you get if you try it. Sorry. By Friday night, I hit the Publish button on Amazon KDP. A few hours later, it was up for sale. On Saturday, I went through the EPUB conversion process. This went a bit faster than the Kindle process, but was still a little bit labor intensive. I used Calibre to convert the Word document to EPUB format, which is really just a ZIP file containing HTML, styles, and images. Then I used in the Calibre eBook editor to modify the HTML as necessary to fix up styles and formatting inconsistencies. This took a few hours and required a bit of hand-editing of styles and individual locations throughout each chapter. Once all of that was done, the EPUB could be uploaded to all of the retailers besides Amazon. By the end of Saturday, I was published on all major eBook platforms. On Monday when I announced it to my work colleagues, a bunch of people said they wanted a print edition, which up until this point, I was not sure I was going to do. But given that response, I instantly realized that a dead tree version of a programming book is still in-demand. It’s the code samples—some people just prefer a physical book for code. So I spent the next week getting it ready for publication via CreateSpace. Basically, this was just ensuring that all of the formatting I wanted (see above) was present and correct. My first proof copy actually had some bad fonts for most of the code samples–I had selected Courier New, and it just didn’t look as good as Consolas, so that was the major fix before publication. A note on DRM (Digital Rights Management): Avoid it. Unfortunately, your book is going to be hacked, stolen, put on Pirate Bay, whatever, anyway. DRM only punishes the law-abiding consumer. Just don’t, and make peace with the fact that people will steal things. If you sell to organizations, then it is fair to ask them to pay for multiple copies for multiple people, but don’t try to enforce this. It’s a losing battle and isn’t going to help your bottom line much anyway. By the end of Friday, I had the Kindle ready to go. I just had to decide on markets and pricing. I went with $9.99 because that’s the maximum price you’re allowed to do on KDP and still get a 70% royalty rate. This was actually disappointing to me. For me, the sweet spot in pricing would have been around $15. This is competitive with existing programming eBooks while being slightly cheaper. I had a fear that if I priced it too low, I wouldn’t have credibility compared to more expensive offerings. I don’t worry about this now. The book has taken off and gotten enough reviews that it can stand on its own, and the price now only helps. For the print edition, I set the price much more in line with current offerings (slightly cheaper, of course). I also made EU prices similar to other books in those markets, but I have since changed them to be tied to US price and the exchange rate. This makes my book VERY competitive in those markets, and it has definitely netted me more sales. I tried to have a comprehensive marketing plan, but I don’t know how well I followed it. There were so many things to do that a lot of things just fell through the cracks for weeks. However, when you self-publish, time doesn’t really matter. Yes, more sales in a short period of time can lead to follow-on sales as the book will get featured in some places, especially on Amazon, but in the long run, you can try lots of things and let your book’s demand naturally grow. Reddit – I had no idea how much good this would do for me, but it really did. I didn’t just post a link to my book and beg people to buy it—that’s guaranteed to fail on any social media site, but especially on Reddit. Instead, I discussed my own background and motivation for the book. Just those facts contained enough interesting tidbits that people wanted to know more. My biggest single-day spike in sales came from that thread. Plus it led to a lot of interesting discussion. The point here is that I tried to provide value external to my book. Twitter – I was never a big Twitter user, and I’m still not, but I decided to make some efforts and reach out to people, participate in discussions, comment on tech news, share personal tidbits, and more. Yes, I plug my book, especially retweeting other people’s comments, but I don’t make my Twitter feed exclusively book plugs—that’s annoying. Remember, try to provide value. Free Samples – The book’s site contains a PDF of the book up through Chapter 1. People can see the full Table of Contents and get a feel for what’s in the book, without me giving it all away. I believe a free sample is critical. I even went further, releasing the entirety of Chapter 5 (Class Design and General Coding) as an article on CodeProject. It won Best C# Article for August and is ranked as one of the Top 5 articles posted on the site. Letters to influential bloggers and podcasters. I knew this was a long shot. They probably get product and media pitches all the time, right? But a few did respond. Some written reviews will hopefully show up on some influential blogs. I was a guest on the fabulous .NET podcast, .NET Rocks in episode 1041. My book was also mentioned in This Week on Channel 9. Facebook Page – an easy way for people to follow updates on the book, reviews, articles, blog entries. It’s not a super busy page, but it’s a useful central place for making announcements. Ads – I tried advertisements on Google, Bing, Facebook, and Twitter, with very limited effect. I mostly tried out of curiosity, and shut down these experiments fairly quickly after it was clear they weren’t doing much. Letters to family and friends – I sent an email about my book to literally everyone in my address book, not asking them to buy it, but to forward to programmer friends or colleagues of theirs. Ask for reviews – I’m not shy about it. Anybody who I know read it and loved it, I will ask them to leave a review on Amazon. These make a difference. I hear from a lot of people on Twitter, and I’ll give them a few weeks or so, and then ask them to write a review. I never tell people to leave a five star review or give any other guidance. More reviews the better. Book’s website – Where to get all information about the book, a complete retail location listing, a place to buy the PDF or EPUB directly from me, errata page, download the book’s source code samples, and more. This site is important. Posters – I printed 50 copies of a small poster of my book and put it up on every floor of my building and two others near me. I’m not sure what effect this had. Probably not worth it. GoodReads – I made sure my book was in GoodReads, with the right cover, editions, descriptions, etc. You can add all of this yourself. Blogging – I started blogging again, before the book came out. This provides another outlet for providing extra value as well as places to mention the book. Remember to go beyond just “Please buy my book” – Always Be Providing Value. In the end, the buzz from the podcasts, and other online reviews that have popped up have definitely helped, but most people are finding this book just through searching Amazon. My book comes up when you search for “.NET Performance” and that’s probably the most effective thing for lasting sales performance. I put my book up for sale literally everywhere I could: Kindle, CreateSpace (for print), Kobo, Nook, Smashwords, Google Play, Apple iBooks, and my own site in EPUB and PDF. Smashwords, in turn, distributes to other retailers. I wanted it available everywhere, and it mostly is. Through CreateSpace’s extended distribution network, it even goes to some physical stores I believe–I know I’ve seen some fairly decent-sized orders for that network. 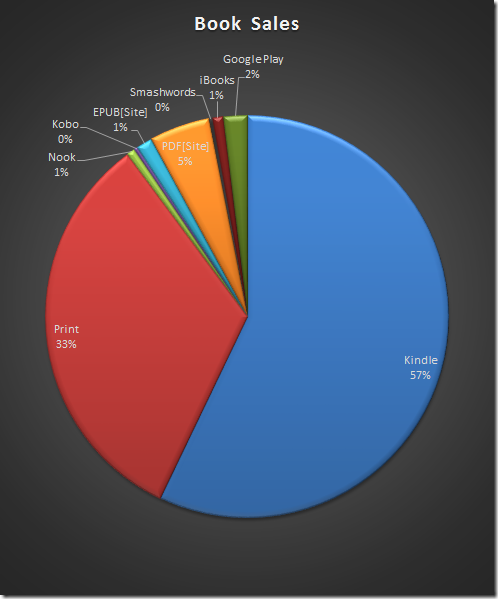 If you add Kindle and Print (both primarily on Amazon), that’s nearly 90% of all my sales coming from Amazon. The next-best thing is the PDF from the book’s site. You might be tempted then to only publish on Amazon, but I think this is a mistake in the long run. Even though the percentages are small, I do get sales from the other channels. There is a psychological benefit as well—many people are happy just to see that it’s available everywhere, even if they buy from one of the usual places. Also, don’t forget the international market. Nearly all of my sales via my own website are from overseas customers who can’t easily use one of the big eBook retailers. By providing an EPUB and PDF to them, they can use the document however they need. If you have any questions about this whole process, please just let me know either in the comments or on Twitter. This entry was posted in .NET, Books, Personal and tagged .net, Bing, book, editing, kindle, publishing, Tips, writing on November 10, 2014 by Ben. I recently read Brian Rasmussen’s book High-Performance Windows Store Apps, and I think it’s an excellent companion to my own Writing High-Performance .NET Code. It’s a good companion because while my book is all about the nitty-gritty details of .NET and how they effect performance, I don’t go too much into things at the UI layer. My perspective is much more systems and servers based, while Brian is coming at this from a UI/XAML focus. Brian covers a bunch of topics in a very good way. The title specifically mentions “Windows Store” apps, but the principles and techniques described in here apply to any desktop/UI application, not just the types you see typically on tablets or phones. It’s worthwhile even if you develop just desktop apps. Chapter 3 – Designing for Performance – It presents a number of interesting performance scenarios, many of which aren’t obvious if you’re new to the new world of multi-device, cloud-connected apps we’re in. The discussion on resource management and prioritization was good too. Chapter 4 – Instrumentation – A very good walkthrough of Event Tracing for Windows, which is what every developer needs to know these days, for tracking app events for performance, debugging, or just plain logging. Lots of good stuff here, and critical for all performance analyses these days. Chapter 5 – Performance testing – Lots of good stuff in here I didn’t know about, particularly around building an automated performance testing environment for UI apps. Automation is critical, and this gives some good examples to get you on your way. The book used the Windows Performance Recorder for most of its examples. It’s an excellent tutorial on how to make this tool useful to you, without getting bogged down into the complexities. Overall, highly recommended. There are not very many guides on how to do performance engineering for XAML apps, and Brian writes a great one. You can follow Brian on Twitter @kodehoved. Check out High-Performance Windows Store Apps at Amazon. This entry was posted in .NET, Books, Code, Link/News, microsoft and tagged .net, book, performance, review, XAML on November 8, 2014 by Ben. A MemoryStream is a useful thing to have around when you want to process an array of bytes as a stream, but there are a few gotchas you need to be aware of, and some alternatives that may be better in a few cases. In Writing High-Performance .NET Code, I mention some situations where you may want to use pooled buffers, but in this article I will talk specifically about using MemoryStream specifically to wrap existing buffers to avoid additional memory allocations. MemoryStream creates and manages a resizable buffer for you. You can write to and read from it however you want. MemoryStream wraps an existing buffer. You can choose how the underlying buffer is treated. Let’s look at the constructors of MemoryStream and how they lead to one of those situations. MemoryStream() – The default constructor. MemoryStream owns the buffer and resizes it as needed. The initial capacity (buffer size) is 0. MemoryStream(int capacity) – Same as default, but initial capacity is what you pass in. MemoryStream(byte buffer) – MemoryStream wraps the given buffer. You can write to it, but not change the size—basically, this buffer is all the space you will have. You cannot call GetBuffer() to retrieve the original array. MemoryStream(byte buffer, bool writable) – MemoryStream wraps the given buffer, but you you can choose whether to make the stream writable at all. You could make it a pure read-only stream. You cannot call GetBuffer() to retrieve the original array. MemoryStream(byte buffer, int index, int count) – Wraps an existing buffer, allowing writes, but allows you to specify an offset (aka origin) into the buffer that the stream will consider position 0. It also allows you to specify how many bytes to use after that origin as part of the stream. The stream is read-only. You cannot call GetBuffer() to retrieve the original array. MemoryStream(byte buffer, int index, int count, bool writable) – Same as previous, but you can choose whether the stream is read-only. The buffer is still not resizable, and you cannot call GetBuffer() to retrieve the original array. MemoryStream(byte buffer, int index, int count, bool writable, bool exposable)– Same as previous, but now you can specify whether the buffer should be exposed via GetBuffer(). This is the ultimate control you’re given here, but using it comes with an unfortunate catch, which we’ll see later. If requested buffer size is less than the current size, do nothing. If requested buffer size is less than 256 bytes, set new size to 256 bytes. If requested buffer size is less than twice the current buffer size, set the new size to twice the current size. Otherwise set capacity to exactly what was requested. Essentially, if you’re not careful, you will start doubling the amount of memory you’re using, which may be overkill for some situations. You would want to wrap an existing buffer in any situation where you have an existing array of bytes and don’t want to needlessly copy them, causing more memory allocations and thus a higher rate of garbage collections. For example, you’ve read a bunch of bytes from the wire via HTTP, you’ve got an existing buffer. You need to pass those bytes to a parser that expects a Stream. So far, so good. However, there is a gotcha here. To illustrate, let’s see a hypothetical example. So far so good, but what if the parser for the sub-section really needs to operate on the raw bytes instead of as a Stream? This should be possible, right? After all, publiclyVisible was set to true, so you can call GetBuffer(), which returns the original buffer. There’s just one (major) problem: You don’t know where you are in that buffer. This may sound like a contrived situation, but it’s completely possible and I’ve run into it multiple times. See, when you wrapped that buffer and told MemoryStream to consider byte 24 as the start, it set a private field called origin to 24. If you set the stream’s Position to 24, the index into the array is set to 24. That’s position 0. Unfortunately, MemoryStream will not surface the origin to you. You can’t even deduce it from other properties like Capacity, Length, and Position. The origin just disappears, which means that the buffer you get back from GetBuffer() is useless. I consider this a bug in the .NET Framework—why have the ability to retrieve the original buffer if you don’t surface the offset being used? It may be that it would be more confusing, with an additional property that many people won’t understand. Derive a child class from MemoryStream that doesn’t do anything except mimic the underlying constructors and store this offset itself and make it available via a property. Pass down the offset separately. Works, but feels very annoying. Instead of using MemoryStream, use an ArraySegment<byte> and wrap that (or parts of it) as needed in a MemoryStream. Essentially, make your master buffer source the ArraySegment, not the Stream. If you find this kind of tip useful, you will love my book Writing High-Performance .NET Code, which will teach you hundreds of optimizations like this as well as the fundamentals of .NET performance engineering. This entry was posted in .NET, Code, CodeProject, Tips and tagged .net, ArraySegment, deserialization, MemoryStream on October 22, 2014 by Ben.